I updated my Mac, and now Word won't find my EndNote library. Everything seems to be working, but Word and EndNote just won't talk to each other. We have noticed that Macs have been switching over to preferring EndNote Online after updating. In Word, go to the EndNote tab and find the Preferences option. 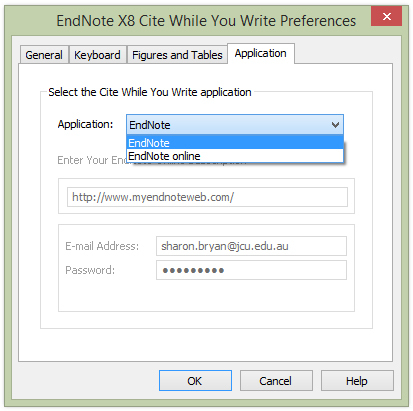 Then to to Application, and change the option from EndNote online to EndNote. You should see the EndNote ribbon in Word expand to offer more options, and it should now talk to the EndNote library you have on your computer.